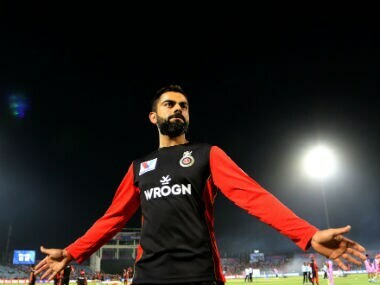 Jaipur: The winless streak continues for Royal Challengers Bangalore (RCB) but skipper Virat Kohli took solace from the fact that they dragged the game against Rajasthan Royals (RR) deep and also hinted that they will make changes in the side to get the right combination for upcoming games. 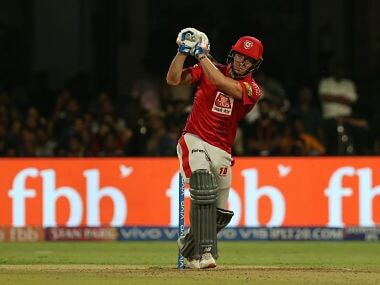 RCB managed 158 for 4, but the hosts chased it down with one ball to spare. Kohli said they need a few more runs on the board. The RCB fielders dropped a number of catches and Kohli acknowledged that such mistakes won't win them games. Ajinya Rahane and Steve Smith were dropped and their contributions with the bat helped the hosts win. "The team hasn't gone off to a good start, and these things look really bad. But we have to keep believing that we can turn things around. We played well in Mumbai and tonight, but we need to improve. We need to take some confidence from tonight's game though." Kohli said the team may make more changes in the side. "The tournament isn't so long, so you need to think on your feet on what the best XIs are. We will sit down and talk to see how we can balance our team and allow our players to create some match-winning performances." 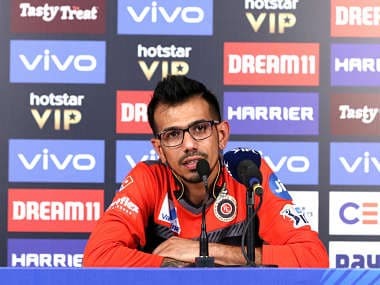 RCB spinner Yuzvendra Chahal, who grabbed the Purple Cap with his two wickets, was pleased with his effort so far. "It's a great feeling to have the highest wickets in the tournament, but we didn't win the match. Leg-spinners have so many variations compared to other bowlers, and we can get a bit more turn even on flat wickets. "I created a bit of doubt on the batsman's mind. Our fourth loss in a row, but we have 10 games, and we have a chance of coming back. If we think negative, then no point playing. So we need to be positive," he said. Rajasthan Royals skipper Ajinkya Rahane said Shreyas Gopal changed the game with wickets of Kohli and AB de Villiers. "We know his (Gopal) record against Kohli and De Villiers and it changed the game. It was a good team effort. After 3-4 overs, we thought the wicket is slow, so I thought if spinners bowl well then batsmen will have a hard time. "Gowtham was excellent in the Powerplay, and Gopal backed up after that. Relief, yes, to get points on the board. We played good cricket in the last three games, but tonight it was all about giving more than 100%." Gopal, adjudged man-of-the-match, was modest when asked about his super show. 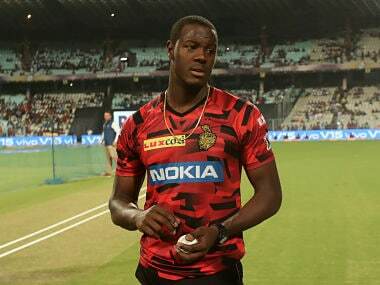 "I really don't know why wrist spinners do so well in T20s. But maybe it's because we can spin the ball both ways. Overall, it's about bowling in good areas and being disciplined.